Nevada offers a vast array of extraordinary landscapes, historic locations, and natural wonders. When planning a trip to this area or nearby locations such as the Grand Canyon near the Nevada border, you will find that the destinations you may visit are virtually limitless. If you are in the process of mapping out your next adventure, why not sway a bit from the beaten path and opt for some truly unique experiences? There are many weird and unusual places within the State of Nevada. In this brief guide, we will expound on what we consider to be the top three! While it is true that Nevada is filled with 5-star hotels and motel accommodations – such as The Palazzo and Bellagio – there is a motel situated in Tonopah, Nevada that will provide you with a real once-in-a-lifetime experience. That is the popular Clown Motel. Situated on the edge of the immense desert, this famed motel is located next to an old, scary, abandoned graveyard and is decorated with thousands upon thousands of clowns! While this motel looks like the figment of a crazy horror writer’s twisted imagination, it actually attracts a very large crowd each year! This amazingly unique motel is the last stop before an immense stretch into the desert highway. The ever-presence of clown eyes watching your every move is sure to feel like a warning of evil and dire situations; however, the motel is intended to be an update out-of-the-ordinary stop for those with a love and appreciation for the clowns that lines its wall and nearly every area of space. 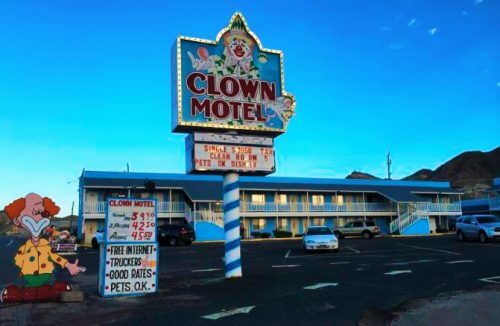 If you are ready to experience the unseen and elaborate side of Nevada, book your room at the Clown Motel today! 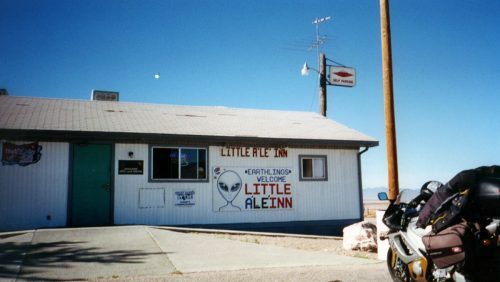 If you will be traveling down Nevada State Route 375 – commonly referred to as “The Extraterrestrial Highway” – be sure to look for the Little A’Le’Inn, which is an alien-themed one stop for food, lodging, and information. This establishment has been operating for over two decades. Situated on the route to the famed Area 41, this business embraces the lore and legends of the area that pertain to extraterrestrials. You may grab a delicious meal, reserve a room, and learn about the best spots for watching for UFOs! Lonnie Hammargren – a retired neurosurgeon – has been collecting memorabilia his entire life. On Nevada Day, he opens up his home in Las Vegas to visitors, which is a veritable wunderkammer. Upon visiting this famed destination, you will get to see a Barbershop Brothel, a replica of a T-Rex, a mini-version of the Taj Mahal, and several other interesting pieces that are currently in his collection. This home is like none other!